People keep telling me I'm pretty organized, even if I don't always feel like it. I try to use technology to make this easier (yes, I have tried paper organizers and file cabinets several times, but they just don't work for me!). Working in the social media industry requires constant vigilance, as changes are always being rolled out - and I need to be able to communicate those changes to my clients and show them how to implement them. So anything I can do to save time in my day is necessary for my sanity. Right now I use a combination of Gmail, Trello, Evernote, and Chrome - all of these are free to use. If you don't have the Chrome browser, some of the extensions mentioned may be available in Firefox or Safari or Edge (if you're using Internet Explorer it's time to upgrade!). I've used all of those browsers except Edge, and Chrome is by far my favourite. You may be using Gmail as your personal email, but I really encourage everyone to use Gmail professionally (known as G-Suite, previously Google Apps for Work). If you're wondering what the benefits are, check out this post I wrote for the Your Marketing Made Easy blog. If an email I receive pertains to an event I can easily turn the email into an entry on my Google Calendar by clicking on the date/time right in the email, or by going to the 'More' menu and clicking 'Create event'. Instead of going back and forth 20 times in email to schedule appointments, I use Assistant.to to insert proposed meetings times. The recipient can click on the time that works for them and it's automatically added to our calendars. In the Gmail Labs I have enabled the google calendar gadget so that I can see upcoming events while I have my Gmail open, without having to also go and open my calendar. It bugs me to have unread emails sitting in my inbox, so if there is something non-urgent that I can read or respond to later, I will snooze it (it will disappear from my inbox and reappear later at a specified time using Streak. Because I encourage my clients to only contact me during business hours (unless it's an emergency) it's also important for me to respond to them only during business hours. Sometimes the day gets hectic and I'm emailing in the evening or on weekends. With Streak I can write my email and schedule it to send at a specific time, say Monday morning at 8am! In the Gmail Labs, I have enabled the preview pane so that I save time by quickly browsing unread emails to see what action I need to take without opening and reading through each message. To avoid having to scroll through an overwhelming inbox, I have set my Gmail (on desktop and on the app) to show only unread messages first. If an email contains an action item, I use the Chrome Trello extension to quickly add it to my to-do list. Trello is a project management tool for the visually inclined. Because it's free to use I'd encourage you to try it out for a month or two - and there is no 1 way to use it - you can organize your items by due date, by start date, by topic. And there are tags and extensions and integrations that make it very powerful. I will admit, I signed up for Trello a long time ago but didn't like the look of it when I first logged in. The default colour scheme is this weird blue color (#026AA7) that turned me right off. But now they have a series of tutorials that helps you understand what you can do with Trello. 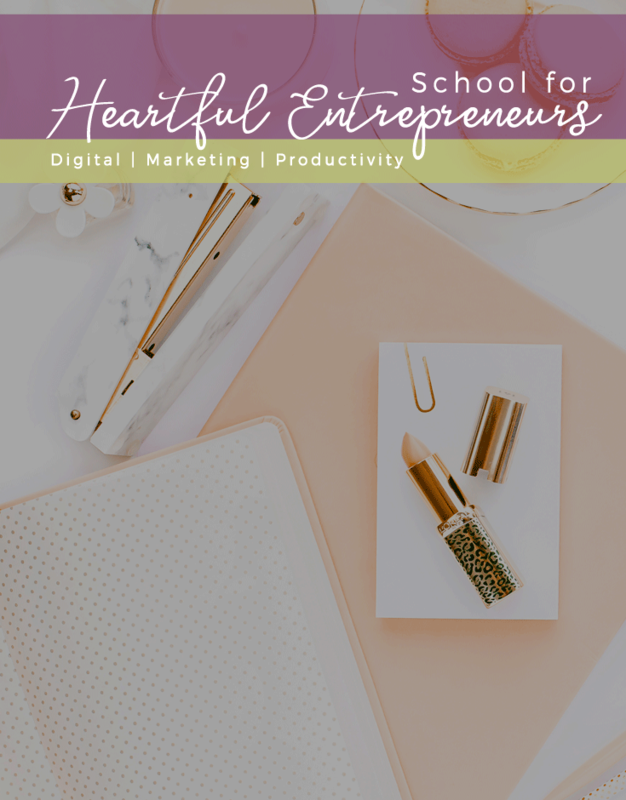 In addition, I came across a couple of amazing ladies that use Trello for their business, and some of the ideas below come from their blog or online courses: Think Creative Collective blog, Trello for Business (best $29USD I've ever spent!). Part of the beauty of Trello is that you can give things specific due dates/time - or not. And because they are still on a board together you won't forget about those 'I'll get to it someday when I have time but right now it's not a priority' tasks. And the ability to drag/drop to change due dates in calendar view is much easier than a lot of other software I've used where it requires multiple clicks to change a due date. Like I mentioned above, I can easily add emails to Trello, but the same extension also allows you to add webpages. If I come across a video I really want to watch or tutorial I want to walk through but don't have time right now I can add it to my to do list in Trello. The biggest reason why I feel organized with Trello is because I don't like time-blocking. I can't sit down and say, 'OK, from 9-10am every day I'm going to blog' because 1) sometimes there are appointments and meetings that you just can't reschedule; 2) if I'm not in the writing zone but I try to force it, it's basically a wasted hour; 3) to be completely honest there are days where I haven't even started working by 10am. Trello allows me to sit down each day (or the night before) and look at what I need to get accomplished, then decide what I'm going to do each day based on what I'm feeling like. Before Trello, if I needed my Virtual Assistant to do something new, I'd sit down and create instructions from scratch right in an email. Next time we needed those instructions we'd have to search through emails or I'd have to rewrite them if they got deleted. Now I have a board that contains procedures, including checklists and video tutorials. My VA just logs in with her own Trello account to access things. AND...if there is anything wrong with the procedures instead of emailing each card has a comment section where we can write back and forth (less email is always good!). Having a single place to store business processes has also done a lot for my own peace of mind. For example, if someone contacts me about social media coaching, I have a card which contains the checklist I need to follow along with links to the assessment, contract, and intake forms I need to send. And when that client is done, the last item on the checklist is 'get testimonial!' which is something I used to always forget, but now never do. I use a lot of apps and extensions and software. A. LOT. I even blog about what I'm using on a semi-regular basis (like what you're reading now!). I have a list that just contains links to the tools I use (they are tagged by purpose, so even if the name isn't obvious I still know what they're for). Sometimes there are resources that are extremely valuable but I need them infrequently, so I forget about them and waste time Googling for a solution when it comes up. I always tell people who are stuck for something to post on social media or their blog that the best thing to post is an answer to a question someone has asked you about your business, your products, or your industry. So when I'm stuck, I think of my own advice but I often can't remember what questions I've been asked! And I get questions in a bunch of different ways - email, comments on social media, Facebook messenger, text, etc. I have a list in Trello where I store these questions, so I can use the Chrome extension to add an email, or I can screenshot the comment or message on my phone and add the photo to the list. Next time I'm stuck for an idea I have a growing list of inspiration! Evernote is a great storage tool that keeps my hard drive from looking like a junk drawer and it's tagging and search features make it super easy to find things later. I used to use my internet browser to bookmark things like resources and articles/videos to review. At one point I even had them sorted into folders but it quickly got out of control. And then what about those documents that get downloaded? Sometimes they open in your browser so you can bookmark them, but other times they automatically download. I had so many pdfs all over the place and was always forgetting what they were for, or that I even had them. With Evernote, if I come across an email, video, blog I want to review but don't have time right now, I use the Chrome extension to save it as a note. To keep these from getting out of control like they would have in my browser, I tag each item (only takes a second using the extension) so I know what it's for. For example 'to read' or 'marketing ideas'. If I have a document that I don't want floating around on my harddrive, I can easily upload it to Evernote and add a tag for reference later. The tags keep everything organized so even if I don't remember what the document or article was called, I can find it by looking at the tags. If I'm really in a hurry, I can do a keyword search, which will look at not only the title, but also the content of the note - including PDFs! With Trello I have to dos listed for research and development - part of that is spending time looking at my 'to read' notes to see if there is anything really useful. If there is, I can make notes to go along with the article or document right in Evernote, and if not it's easily deleted. Trello is great for quick back and forth communication, but it's not always great for taking notes (you have to format with text markup which can be inconvenient for some people, plus your notes might cover a variety of Trello cards so it's also inconvenient to switch back and forth quickly). So when I'm in a meeting I'll open up Evernote to record the details. Later, if needed, I can copy/paste details into the relevant Trello cards, or I can just link the Trello card right to my Evernote entry. I've already covered quite a few Chrome extensions, but there are a couple more I need to mention. Again, if you're not already a Chrome user, you can download it here (and it has an option to automatically import all of your bookmarks from your current browser!). And you can also use Chrome on your iOS devices instead of Safari. Sometimes you really need your browser to be a split screen. Sure, you can open a new browser window and resize things, but why bother when these extensions can do the work for you? Scissors will automatically split your browser into 2 separate windows, and Glue will put them back together when you're done. You can add multiple Twitter accounts to the Twitter app on your phone and quickly switch between them. No such luck with Twitter on desktop. Luckily Twitcher does just what your phone does - allows you to add different accounts and switch back and forth by going to your settings dropdown. No more logging in and out on your laptop! Do you track your time? If not, how do you know you're making money? How do you know if you're spending too much or too little time on different client or business activities? I track ALL of my working hours and once a month I review them to see where I've been spending my time. This helps me stay organized because I can schedule my time better when I know how long I spent on certain tasks (as opposed to my best estimate, which is usually waaaaay out to lunch). I use Freshbooks because at one point that was my invoicing software - now I just use the timer & reporting. There are tons of other time tracking options out there, some of which integrate with Trello or are a browser extension or have a mobile app. I'm not going to recommend any since I haven't used them, but a quick Google search like this or this might help you find what you need. Want to get these helpful business and marketing updates in your inbox every week? Want exclusive access to all of my marketing & social media download resources and webinar recordings? Become a BLG Insider!